TANGEDCO recruitment 2017 : TANGEDCO (Tamil Nadu Generation and Distribution Corporation Limited) has announced its recent recruitment and notification. You can apply via official website of 18 (Eighteen) jobs for Assistant Accounts Officer. Want to know more details? Now you can check below. The Tamil Nadu Generation and Distribution Corporation Limited (Tamil Nadu Generation and Distribution Corporation Limited) (Tamil: தமிழ்நாடு மின் உற்பத்தி மற்றும் பகிர்மானக் கழகம் (வரையறுக்கப்பட்டது)) is an electrical power generation and distribution public sector undertaking that is owned by the Government of Tamil Nadu. 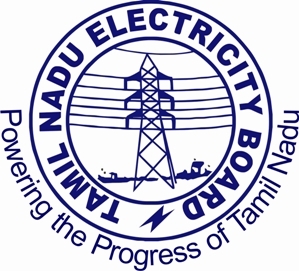 It was formed on 1 November 2010 under section 131 of the Electricity Act of 2003, and is the successor to the erstwhile Tamil Nadu Electricity Board. The electricity board's generation and distribution wings are its nucleus. TANGEDCO is a subsidiary of TNEB Limited. range of age limit:- 18 to 30 years as on 1st july 2017. Process of Interview:- Written Examination and personal Interview. Fee charges:- Applicants can pay from online mode (Debit or Credit Card / Net Banking). How to apply for recruitment TANGEDCO 2017:- Applicants may apply online through http://www.tangedco.gov.in on or before 27th June 2017.